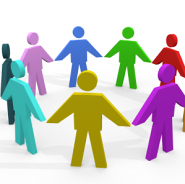 The Patient Participation Group (PPG) consists of a selection of patients and practice staff. We are always looking for volunteers. We meet at regular intervals to decide ways of making a positive contribution to the services and facilities offered by the practice. We have already made significant differences to appointments, the patient-call system, and advised regarding structural changes to the reception area. If you are interested in joining the group, or would like to raise an issue for the group to consider, please contact reception for further information.